The German Junkers Ju-290 A-7 (Ju 290 A-7) (no. 2900181) aircraft from the Nazi Luftwaffe, produced in early 1944, after an emergency landing on April 1, 1944. 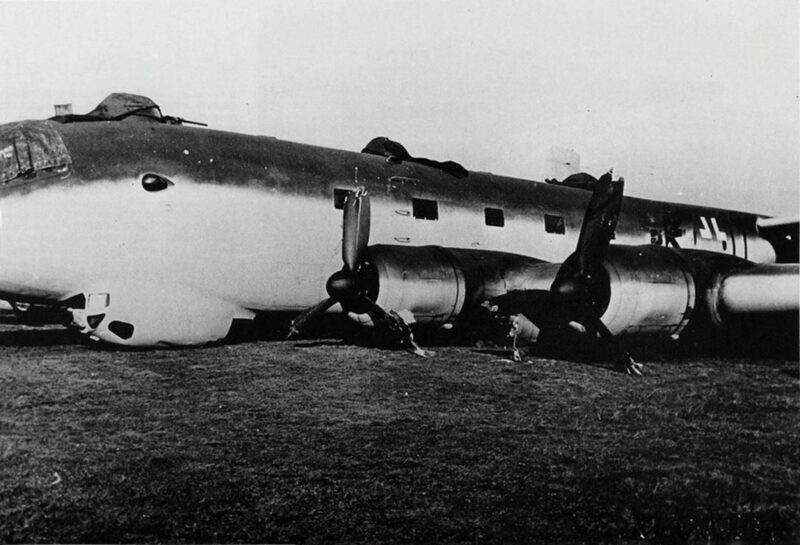 Junkers Ju 290 – German long-range maritime reconnaissance. Ju 290V1 first flew on July 16, 1942 with BMW 801A engines. From 1942 to 1944 was produced in series. A total of 52 aircraft were released (according to other sources 65). It is a further development of the Junkers Ju 90.